J.E. 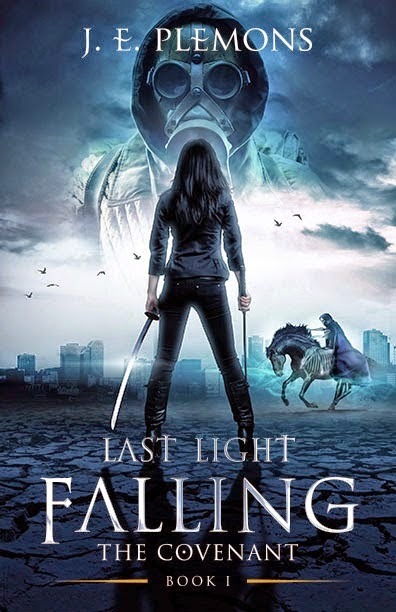 Plemons' "Last Light Falling: The Covenant" is a contemporary fiction novel about fifteen-year-old twins who have been destined to change the world. Arena and Gabriel Power lead relatively normal lives with the same worries as other teens. When their fifteenth birthday arrives, they are thinking about high school starting soon. But they don't realize that they are to receive a letter and key that will send them on a journey toward their destiny, entailing preparing the world for its final days. This is a book you will enjoy from start to finish. It has some elements that are in the dystopian YA books that are popular today, but it has a fresh feel to it. Arena and Gabriel work well as protagonists, and their unique personalities (one is sassy, one is geeky) make following them on their journey very engaging. The plot of the book starts at a moderate pace, but really gets going about a third of the way through the book. The writing in this book is top-notch -- descriptive, emotional, and compelling. You feel as though you felt everything Plemons wanted you to feel. Even his descriptions of day-to-day activities, such as sibling interactions, are spot-on. This is a fantastic read that will make any fiction fan want more. Highly recommended!